If a movie is based on a book, you can almost guarantee that the movie will be vastly different for the book, often this is due to budget constraints. Sometimes characters will be cut or multiple characters will be merged into a single character, other times locations in the book are dropped from the movie, or scenes may be deleted. Do you enjoy when changes are made, because it deviates from the book, or does it drive you crazy that things have been changed? Is there an example where it really bothered you, or that you really appreciated the differences? I think this applies to almost all movies made from a book. I think also it is probably quite a difficult thing to do and I guess they are going to deviate if they think it will do better at the Box Office if they change some things. I don't often go and see a film if I have read the book as am usually disappointed in the film as they just cannot put as much into a movie as you can into a book! In some cases it really annoys me and in others not. 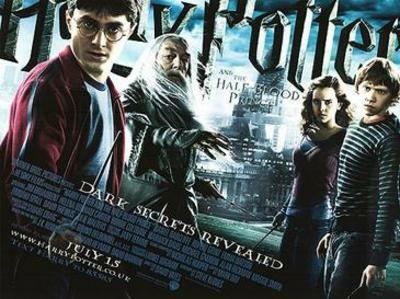 I watched the first 4 Harry Potter films before reading the books, and thought they were fantastic. When I then read the books and saw the differences, it didn't really bother me. When I had read the following books before the films, however, it did bug me a little. However, with books as long as Harry otter, I completely understand why it had to be done, so while I might miss a few things, I think they did an excellent job at adapting it. There are other cases like that too, like the Wizard of OZ movie, which is very different from the book, but in my opinion, actually better. When it comes to Disney's adaptations of fairy tales, I usually approve too. I know thee are lots of films that I've hated for changing aspects of the books, but I can't think of them right now. The first few Harry Potter movies are proof that books can be turned into amazing movies without having to hack the original story, the last bunch of Harry Potter movies show exactly how much it can be mucked up. I'm okay with changes as long as the story can still be followed and in many cases, the message is lost, the feeling is lost and the movie becomes fluff and easily forgotten. For me it's a case of whichever story I experience first is the right one. If I read the book first, then the movie messes things up, but if I see the movie first, then the changes in the book don't ruin the movie.